A Chinese retailer has started to list Honor’s MagicBook laptop based on AMD’s Ryzen Mobile processor. The thin-and-light notebook looks similar to the Intel-based MagicBook launched in April and will be officially available only in China. Huawei, the owner of the Honor brand, will be the fifth company to adopt AMD’s Ryzen Mobile after Acer, Dell, HP, and Lenovo. The Honor MagicBook 14 listed at JD.com is based on AMD’s quad-core Ryzen 5 2500U processor with integrated Radeon Vega 8 graphics, it is outfitted with 8 GB of DDR4 memory as well as a 256 GB SSD. The system has a rather mediocre 14-inch Full-HD panel that features a 250 nits brightness, a 800:1 contrast ratio, and can display 45% of the NTSC color gamut. 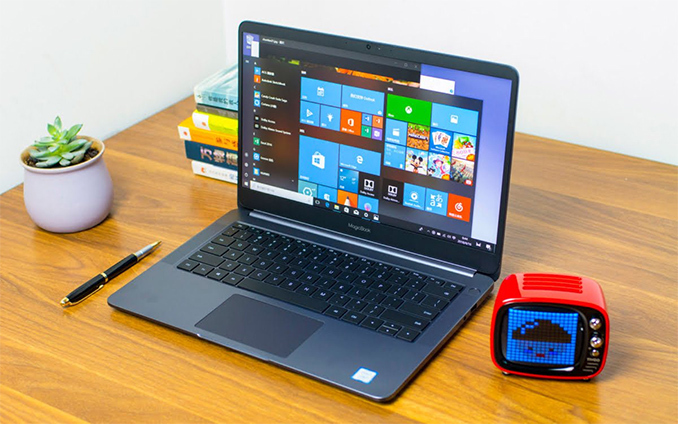 As expected, the laptop is equipped with all the connectivity technologies that are found in today’s notebooks, including 802.11ac Wi-Fi, Bluetooth, two USB Type-A ports, one USB Type-C header, an HDMI output, and a TRRS audio connector. The laptop comes in an all-aluminum chassis that looks exactly like the one used for the original MagicBook. Meanwhile, the listing says that the AMD Ryzen-powered Honor MagicBook is 15.8 mm thick, which happens to be the z-height of the Intel Core-based Honor MagicBook (which uses Intel’s quad-core 8th Gen Core i5/i7 CPUs and NVIDIA’s GeForce MX150 graphics). 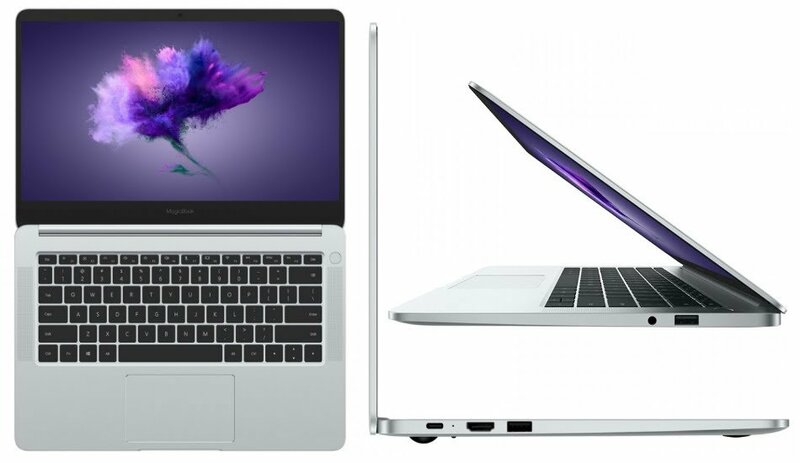 Therefore, despite the fact that the MagicBook with Ryzen inside uses a different motherboard and cooling system, the manufacturer did not have to alter the chassis. As for weight, it is likely that it will remain in the range of 1.47 kilograms. Other highlights of the Intel Core-powered Honor MagicBook also include a 57.4 Wh battery (a rather high capacity for a 13/14-inch machine) as well as four Dolby Atmos-badged speakers. Unfortunately, it is unknown which battery pack is used for the AMD-powered MagicBook, but since the rest of the components are the same, it is logical to expect Huawei to use the same 57.4 Wh battery for this model too. At least initially, the Honor MagicBook with AMD Ryzen Mobile will be available only in glacier grey, but eventually, the company may introduce additional color options, such as star grey and nebula violet. JD.com lists an absurdly high price tag for the Ryzen-powered MagicBook (over $1,500), so it is safe to say that pricing of the product is unknown at this point. Keeping in mind that the Core i5-based MagicBook costs around $800, it is logical to expect the Ryzen-based laptop to be priced in the same range. How does the first and second sentence of this paragraph make sense? First you say that it has a 57.4Wh battery, next you say you don't know the battery size but assume the same 57.4Wh of the Intel part.